SAN DIEGO, CA. 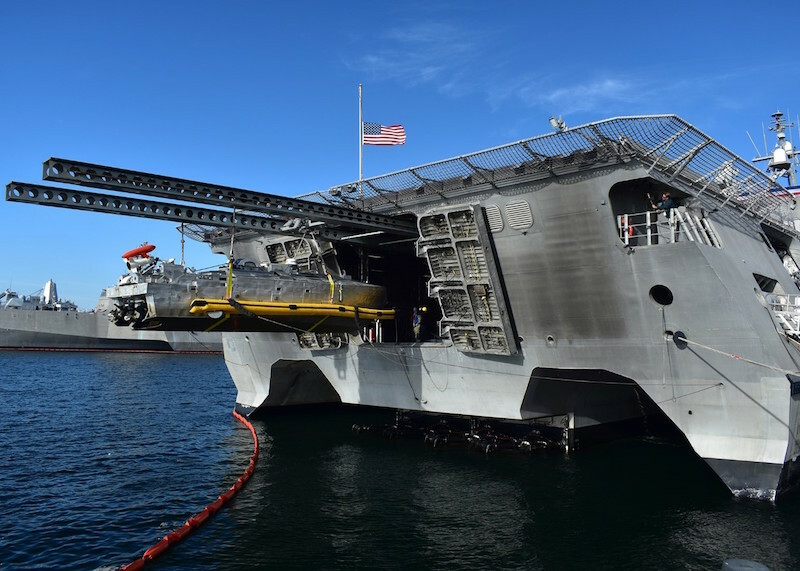 --- The Littoral Combat Ship (LCS) Mission Module Program successfully completed shipboard integration testing of two unmanned systems on board USS Independence (LCS 2) Jan. 14. The two systems - the Knifefish unmanned undersea vehicle (UUV) and Unmanned Influence Sweep System (UISS) - are part of the Mine Countermeasures Mission Package (MCM MP), which uses a system-of-systems approach to target specific portions of the water column and segments of the MCM detect-to-engage sequence.